It’s been a pretty busy week in the world of social media news–so, if you broke your phone, have been too consumed with work to check the World Wide Web, or you’re just hungover from the weekend, you missed a lot. First of all, IHOP decided to ruin all of our lives by temporarily changing their name to IHOb. While many normal people in the world would think that the B stands for something breakfast-y–like, breakfast, brunch, bacon, buttermilk, banana–it so happens that we’ve all played ourselves and IHOP has decided to make the plunge into burgers. A lot of people were pretty damn disappointed (and angry) at this decision. 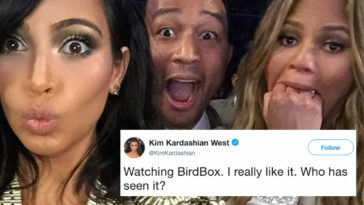 But, it seems as though Chrissy Teigen was severely hurt and confused by the decision for a name change. 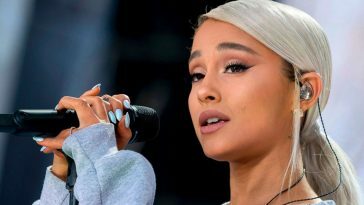 But, her tweet was not only hilariously relevant to the IHOP/IHOb scandal that was sweeping social media–another trending story was breaking around the same time as people were demanding to “Make Pancakes Great Again.” Pete Davidson of Saturday Night Live and singer Ariana Grande announced their engagement (kind of). The two began dating shortly after Grande split from her ex-boyfriend, Mac Miller. 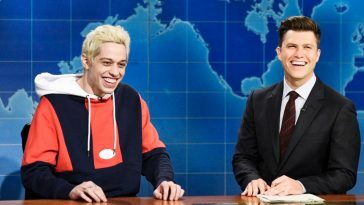 Sources close to Davidson say that he has been infatuated with the singer ever since she appeared on SNL, and has been interested in taking her out. Although the two have been dating for a relatively short period of time, they are reportedly engaged. 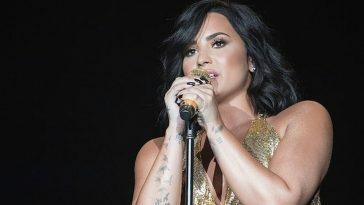 People noticed her engagement ring in some photos with fans. According to reports, the ring is a teardrop diamond that costs over $100,000. Grande seems to have confirmed their engagement on Twitter in response to fan’s posts on her timeline. Davidson also got two tattoos dedicated to Grande immediately after they began dating. 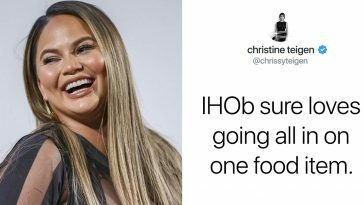 Due to the pretty close proximity of the two celebrity occurrences, people online immediately thought that Chrissy Teigen was dragging both IHOP and Pete Davidson and Ariana Grande’s relationship. I mean, it’s pretty much a subtweet–right? Almost every reply to Teigen’s tweet was directed at Davidson. According to People Magazine, the two bonded over their traumatic experiences with terrorism. 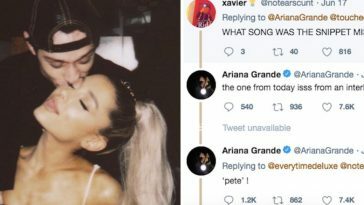 Pete Davidson’s father died on 9/11, while the Manchester Arena terrorist attack occurred during Grande’s concert there in 2017.